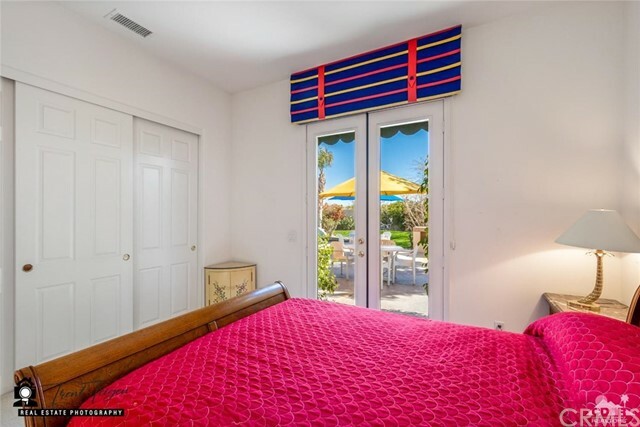 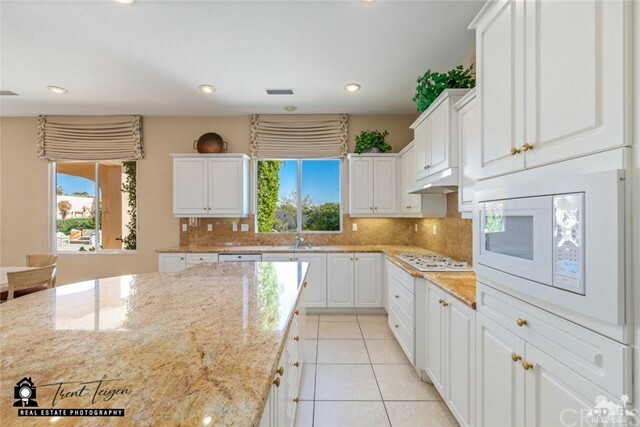 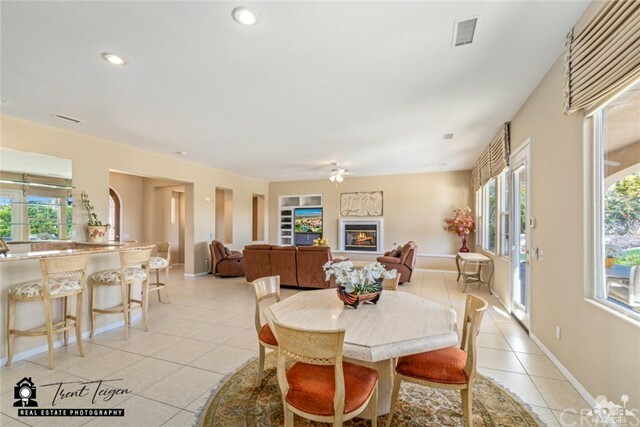 You must see this spectacular solar powered Mediterranean Villa in the gated community St. Augustine. 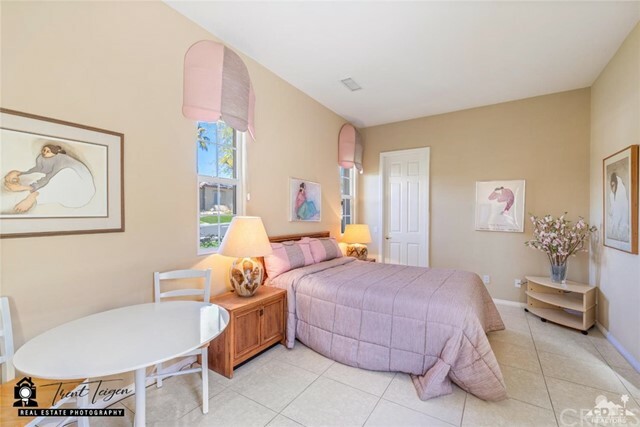 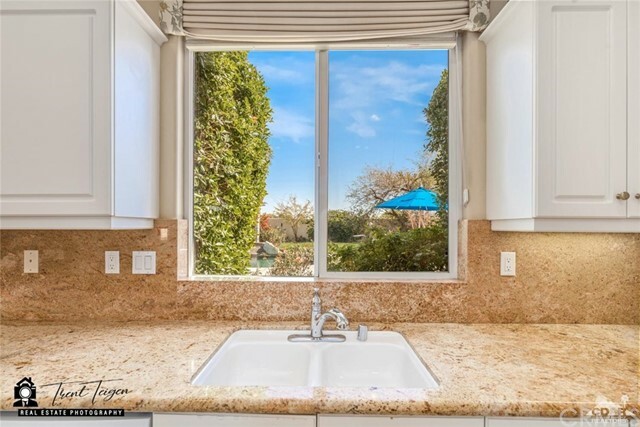 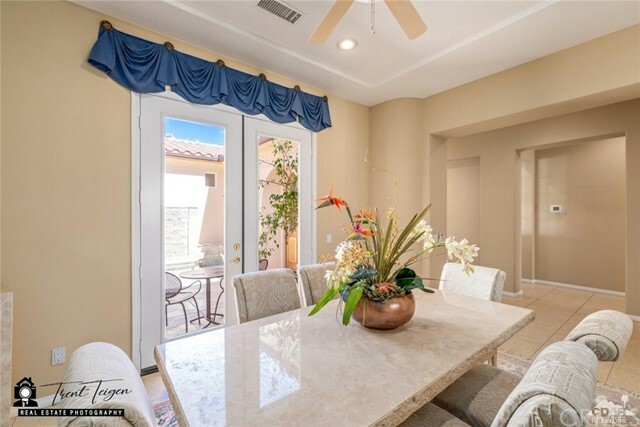 From the moment you pull up you will fall in love with the curb appeal of the low maintenance landscaping including artificial turf and private courtyard entry with a custom water feature. 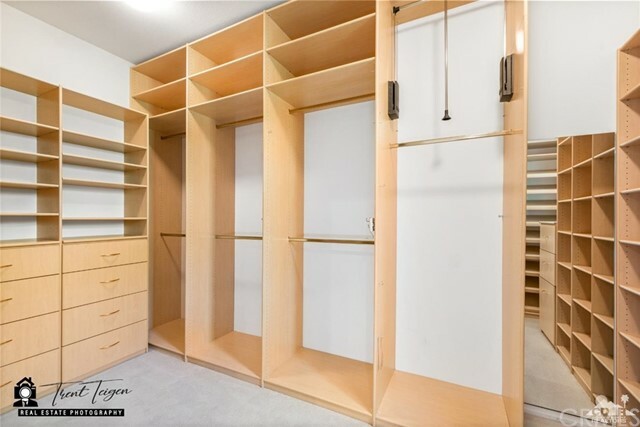 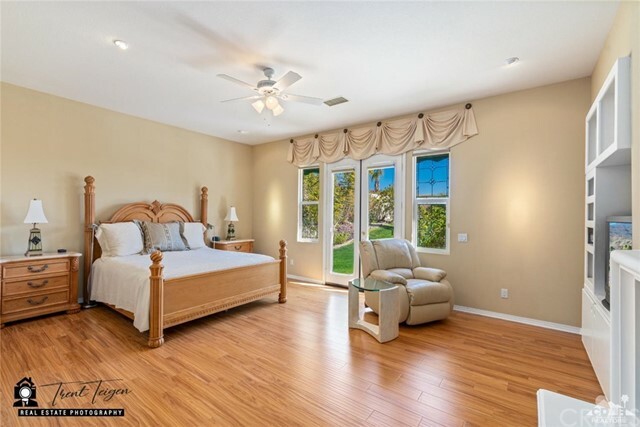 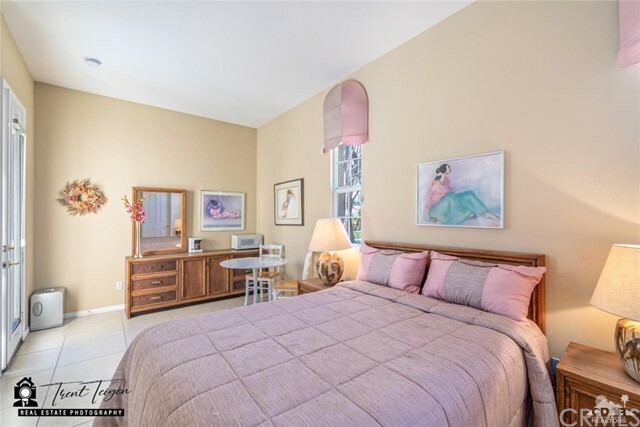 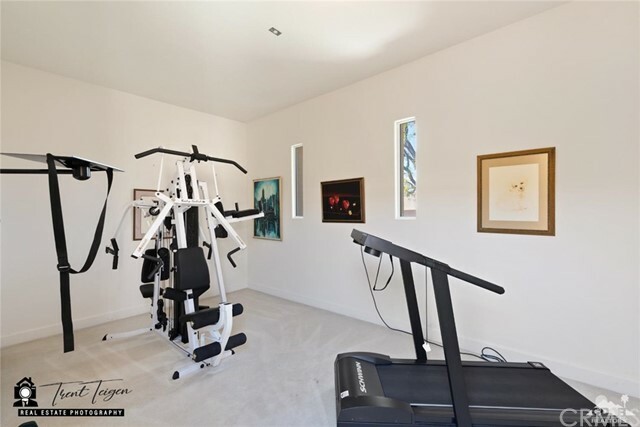 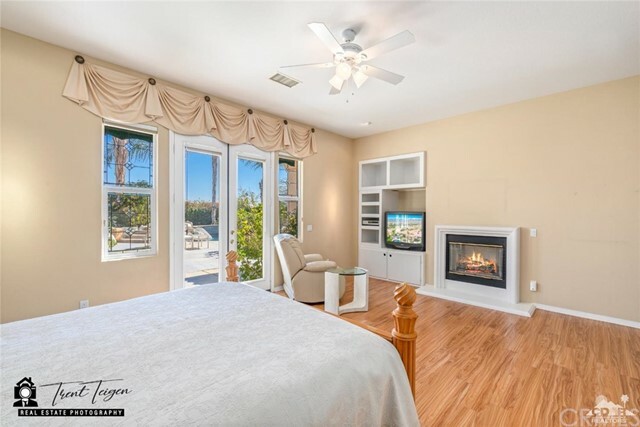 This owner customized 4 bedroom + office/gym, 4.5 bathroom home captures sunshine all day and has a prime private location on an oversized-lot for your enjoyment. 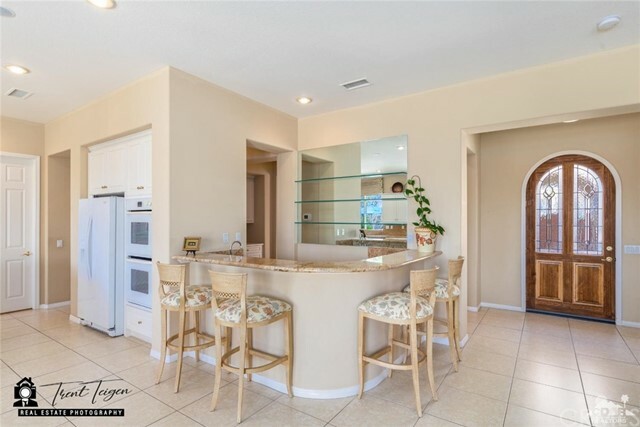 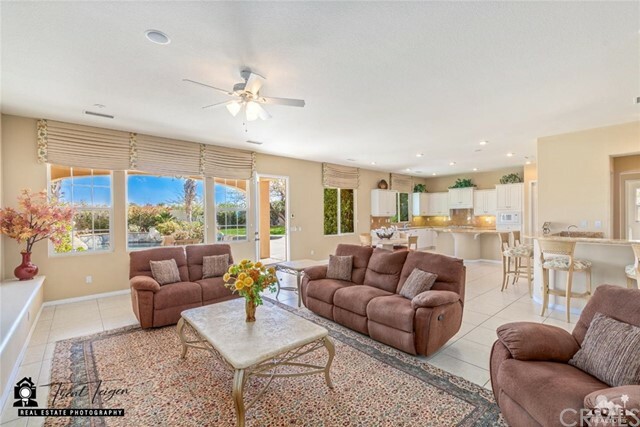 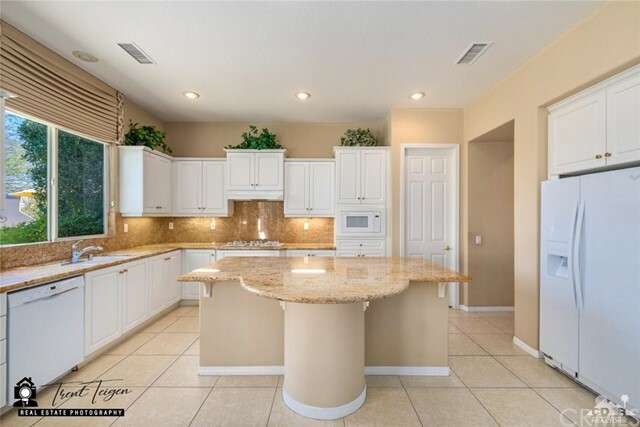 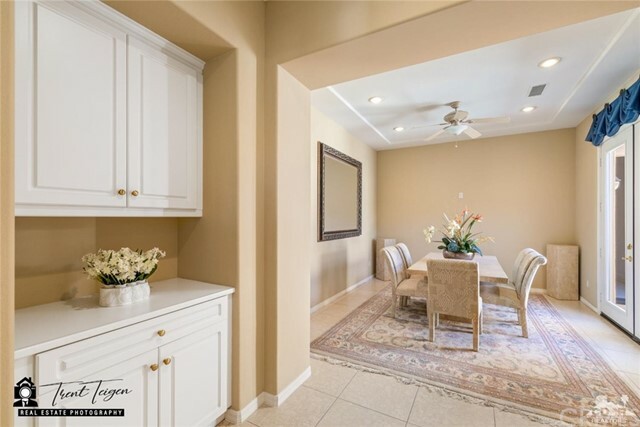 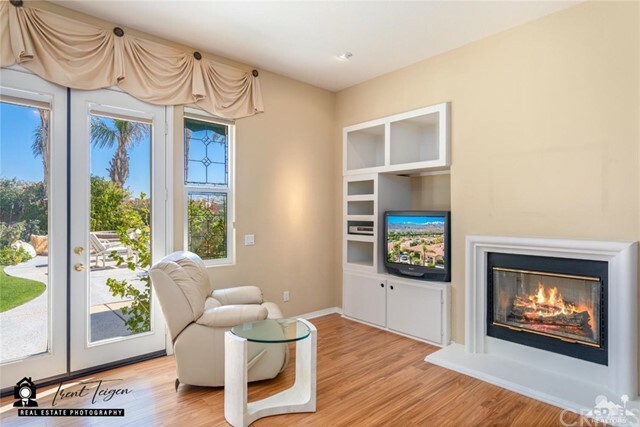 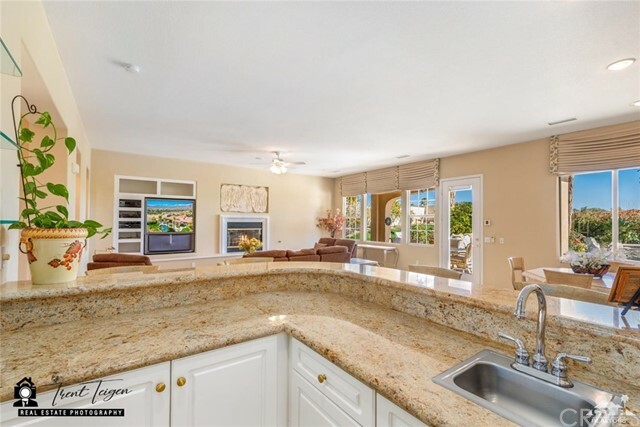 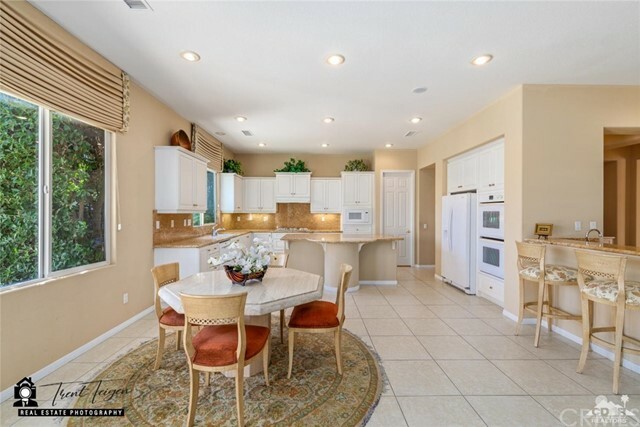 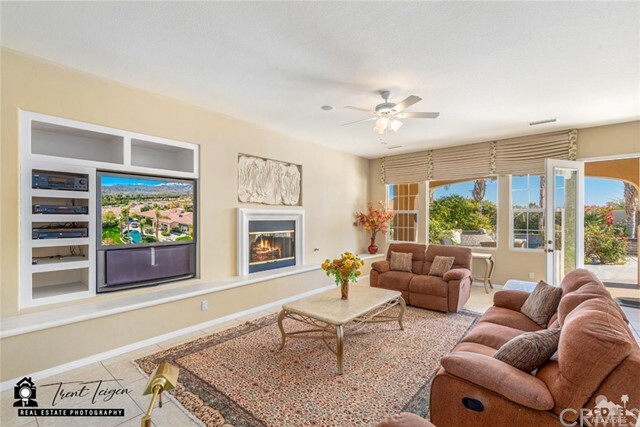 Upon entering the home, you will look through to the large great room with fireplace and wet bar which all open to the island kitchen with granite counter top & backsplash and opens to a casual eating area with direct access outside. 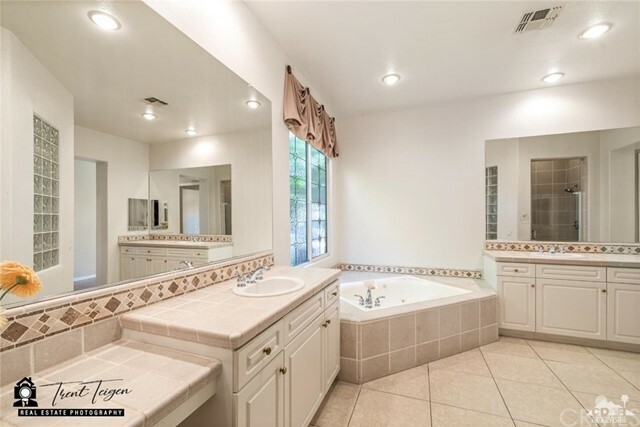 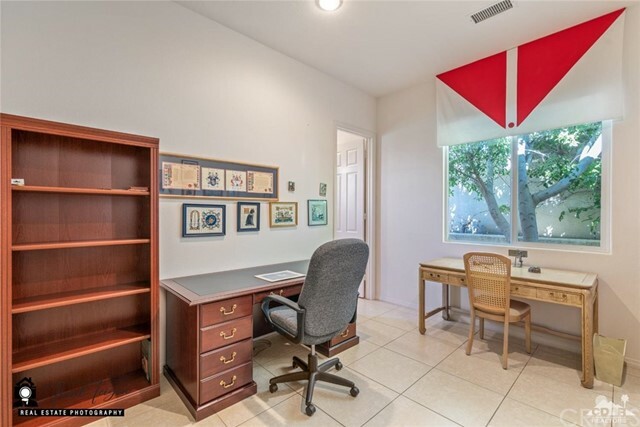 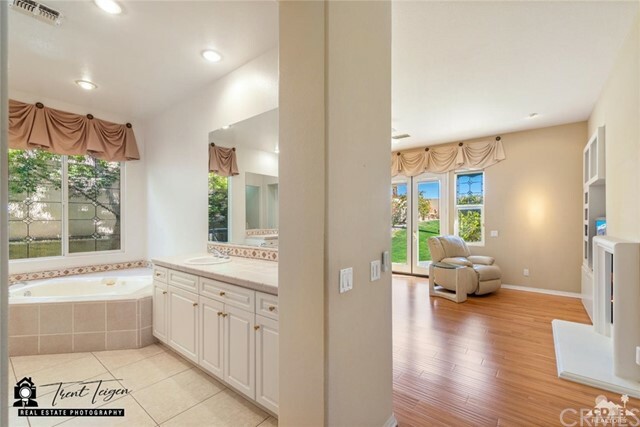 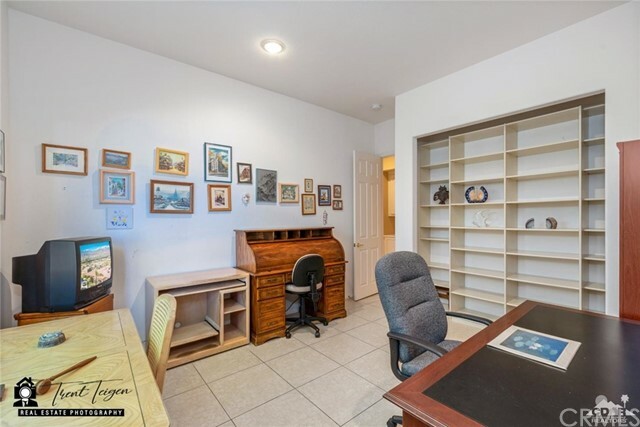 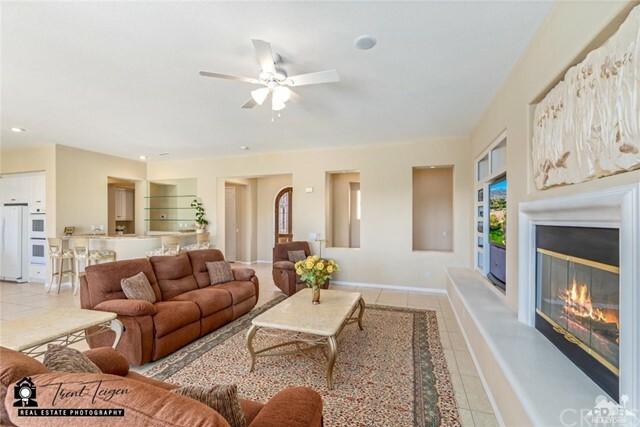 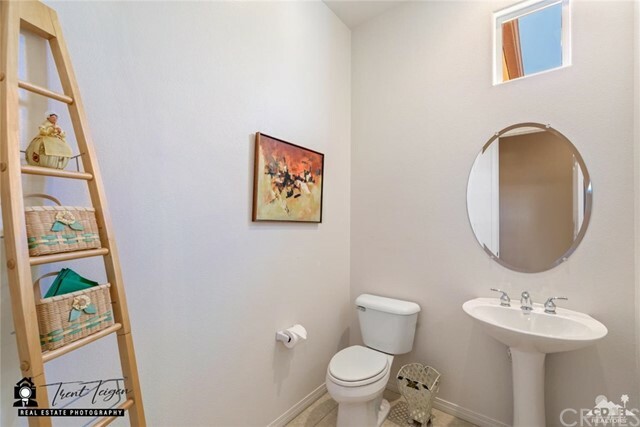 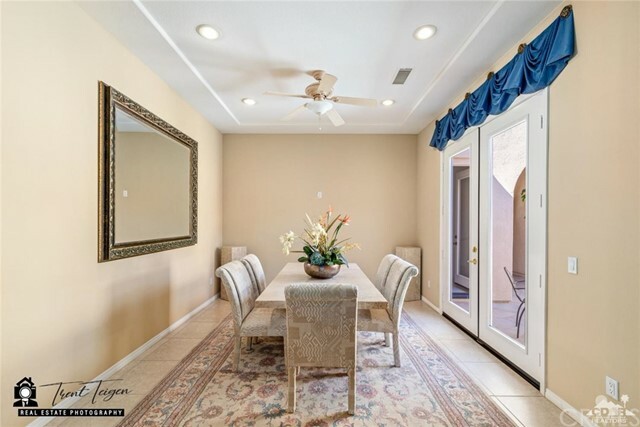 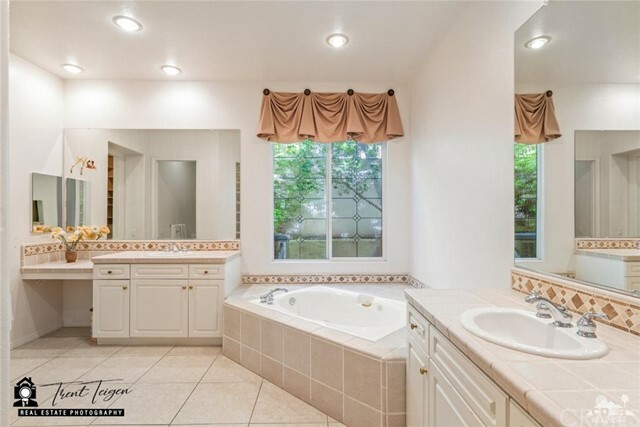 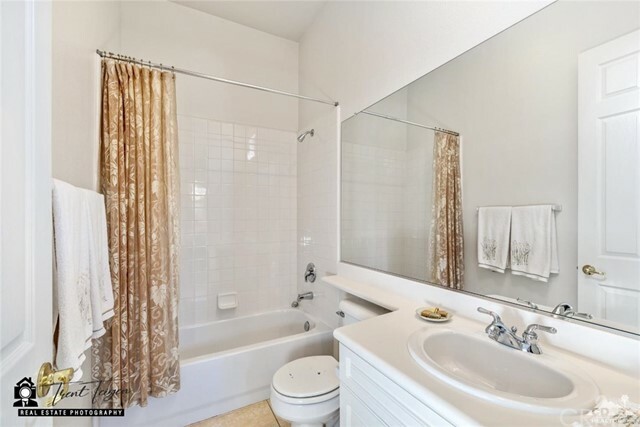 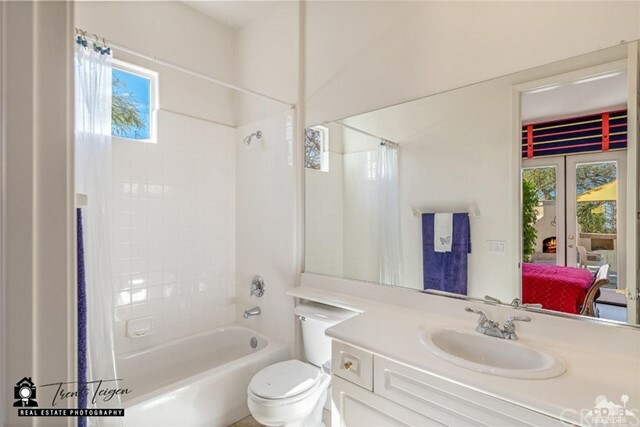 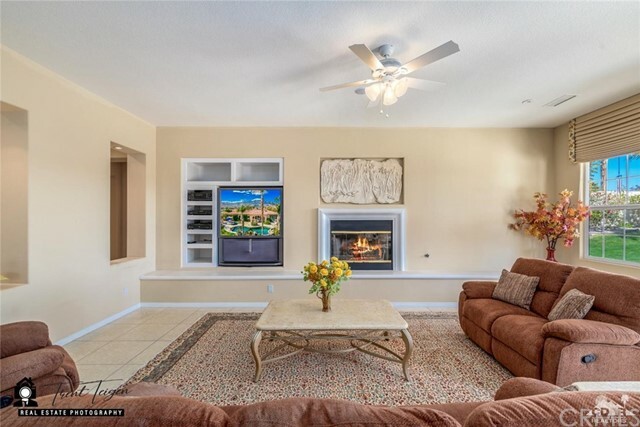 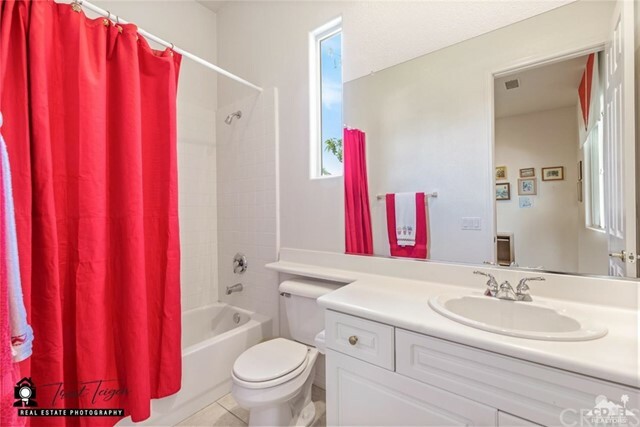 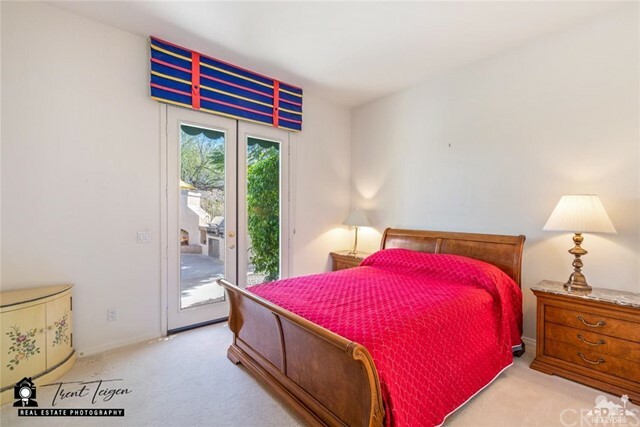 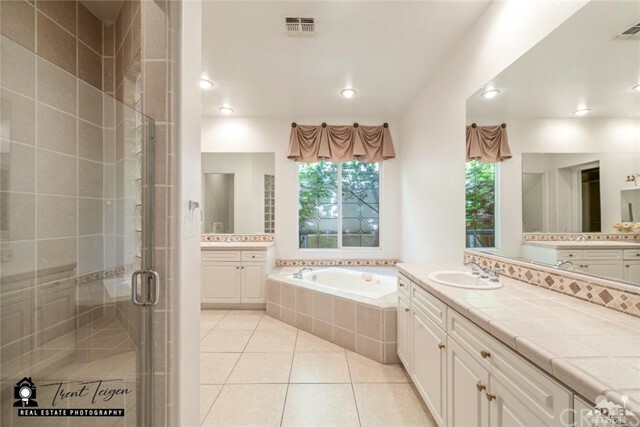 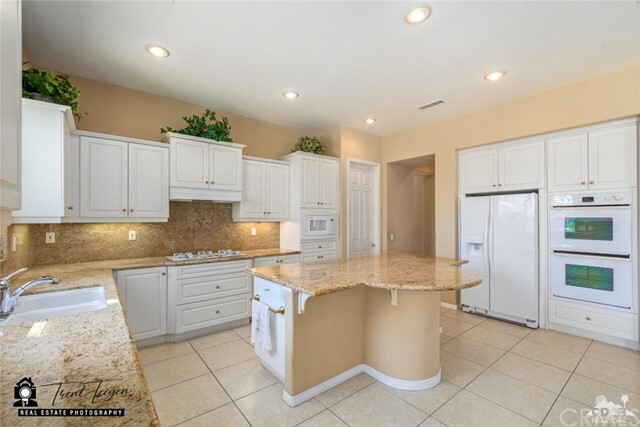 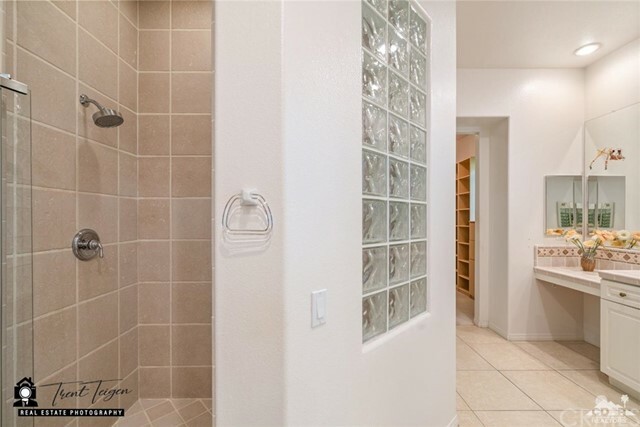 This home has extensive use of tile and a great layout for daily living & entertaining. 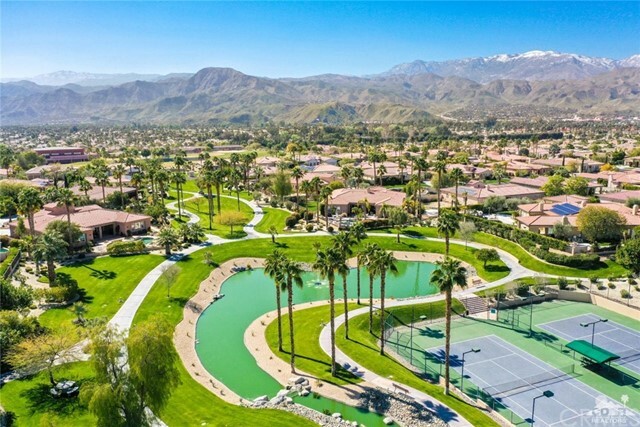 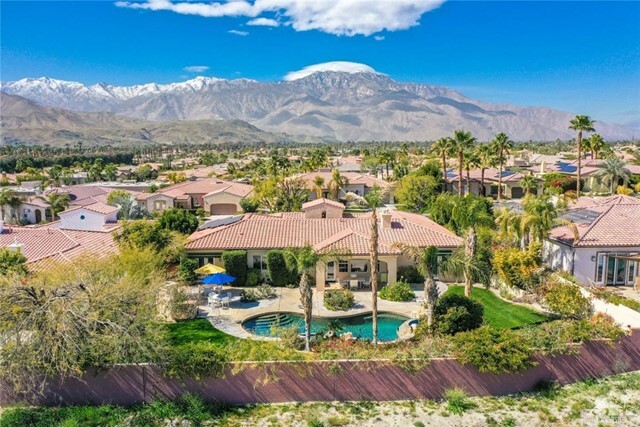 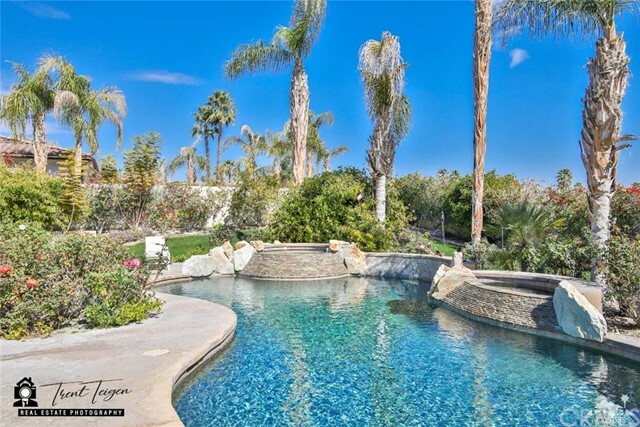 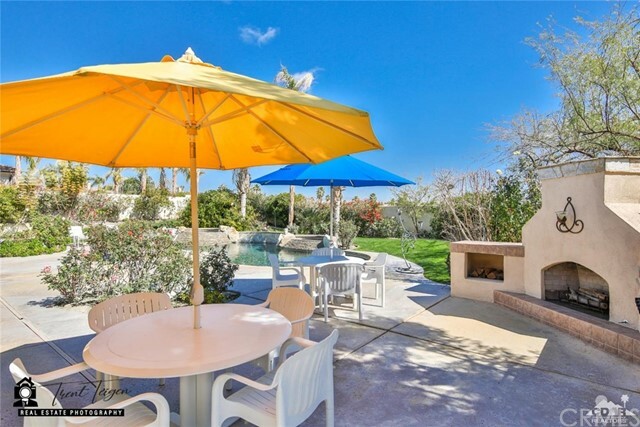 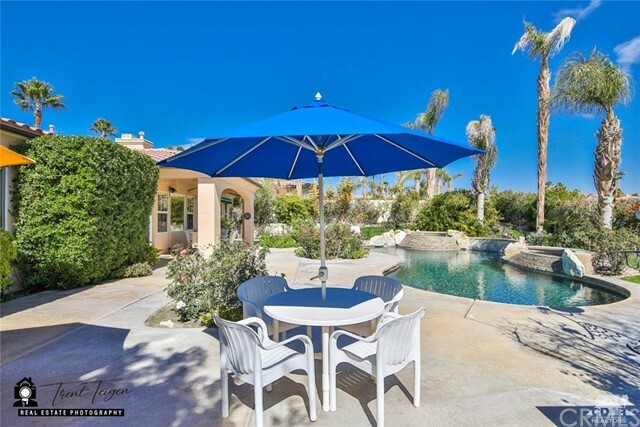 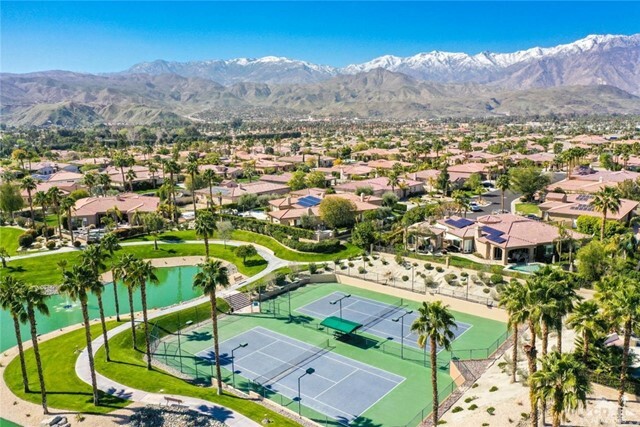 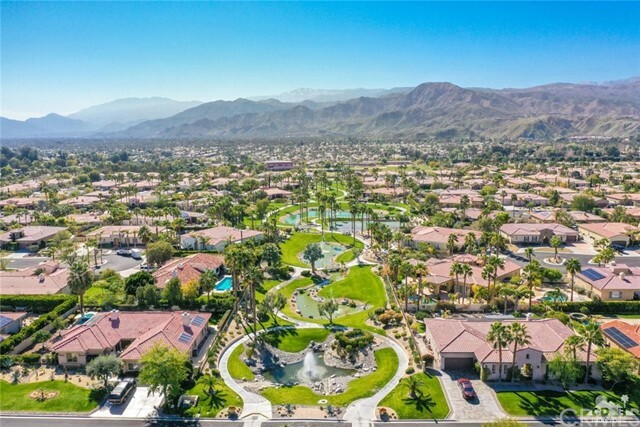 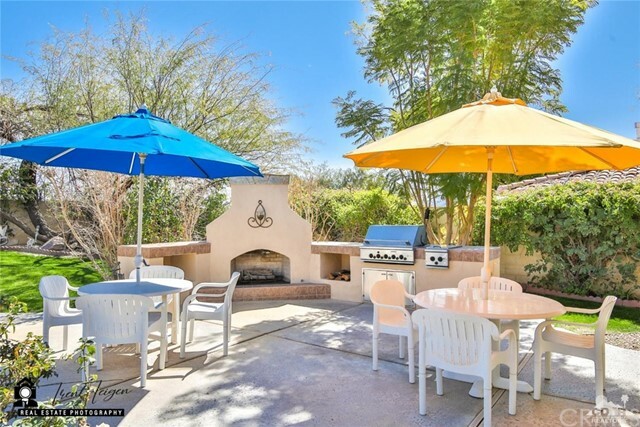 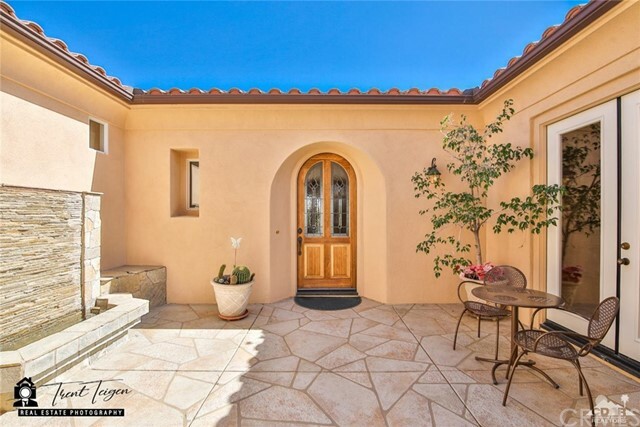 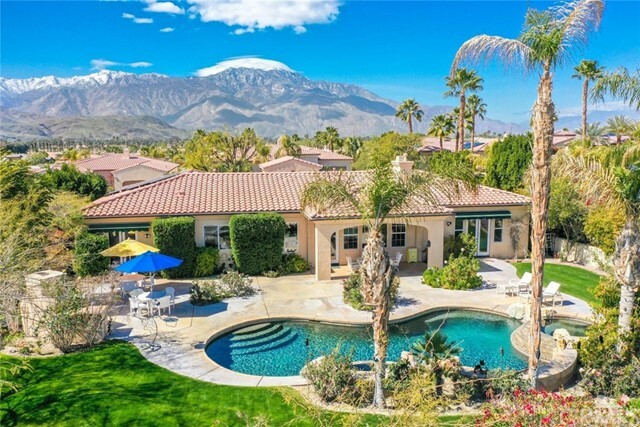 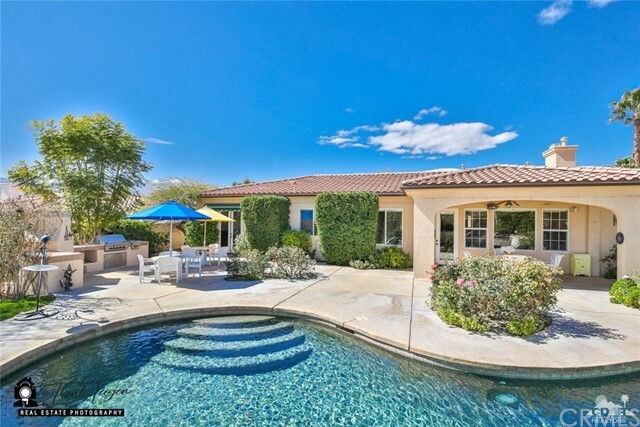 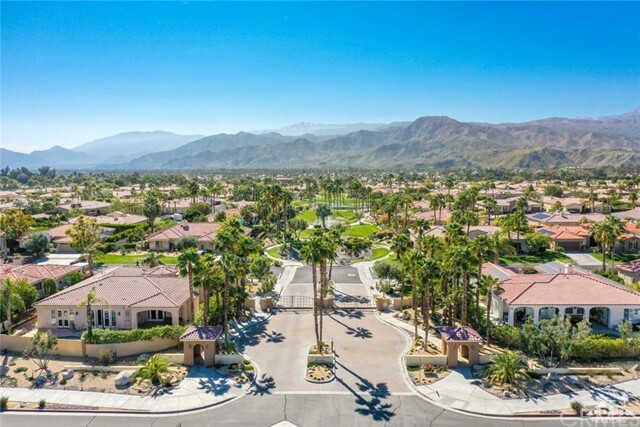 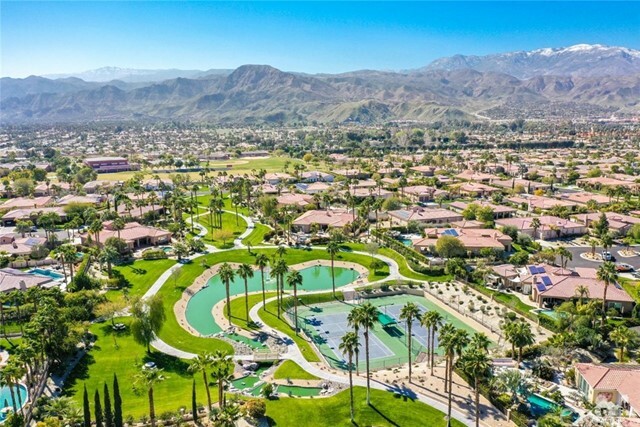 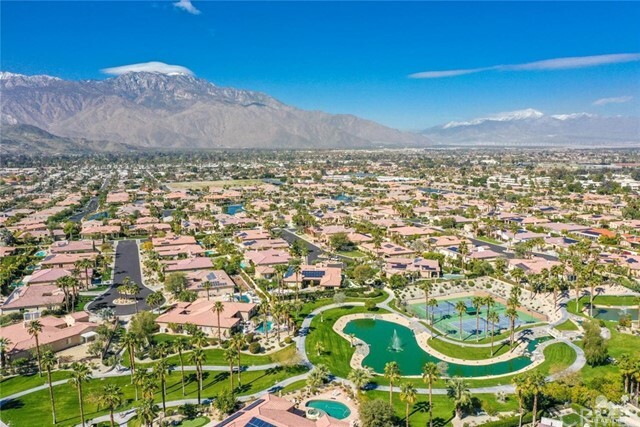 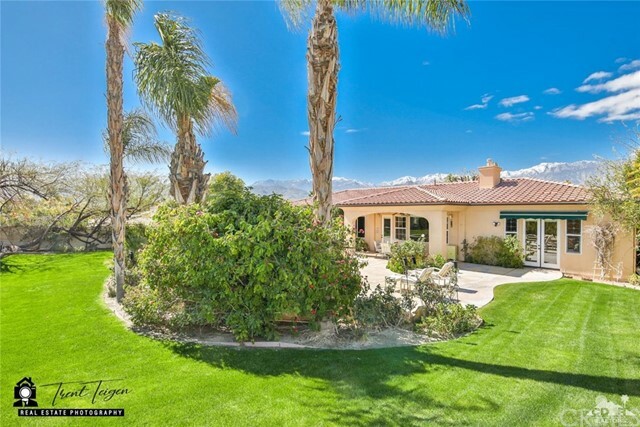 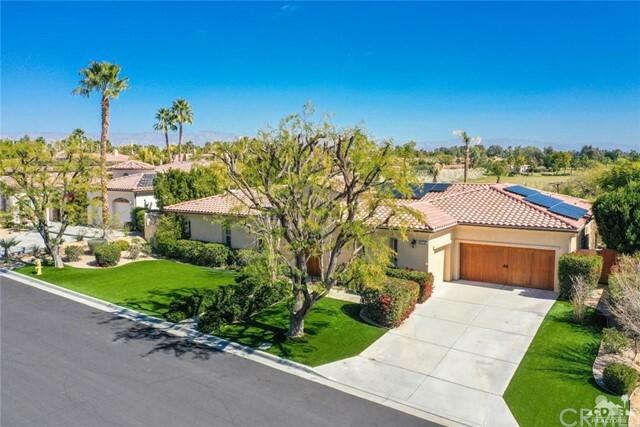 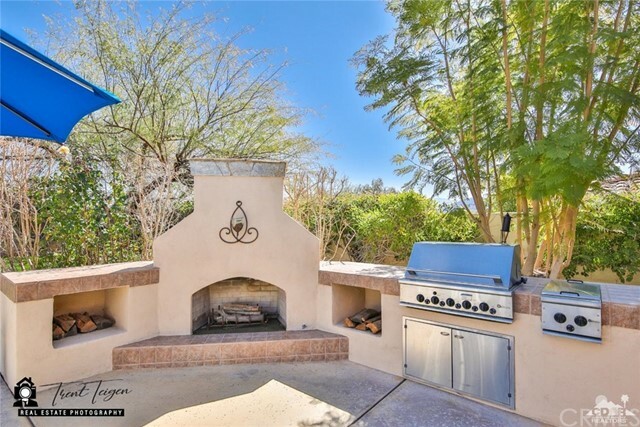 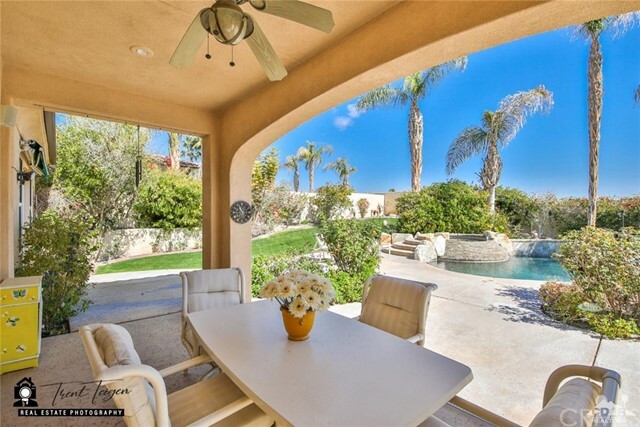 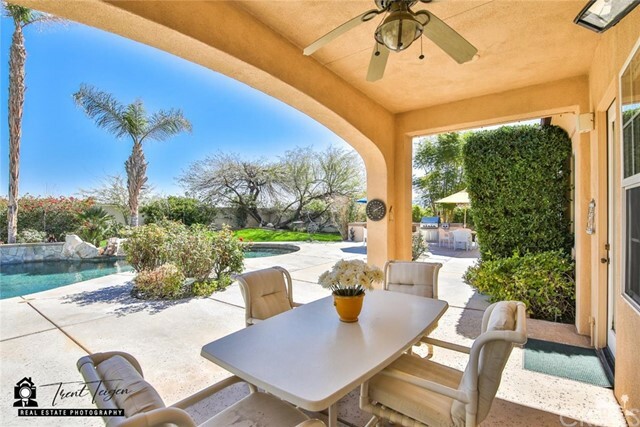 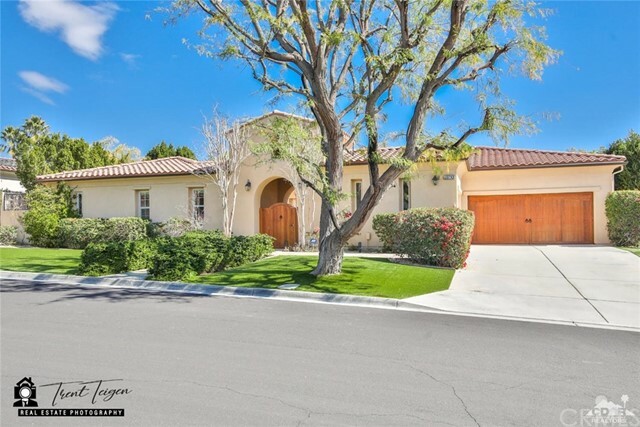 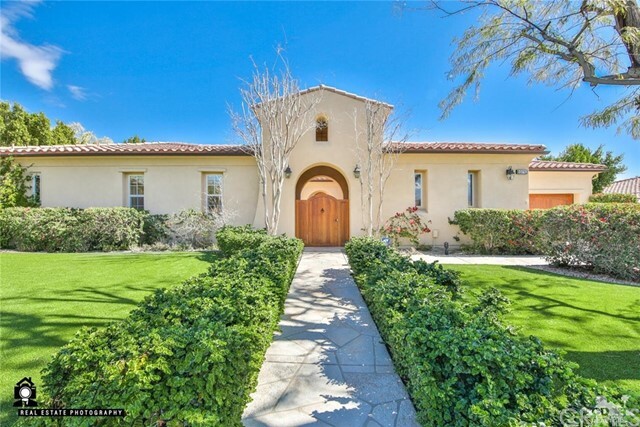 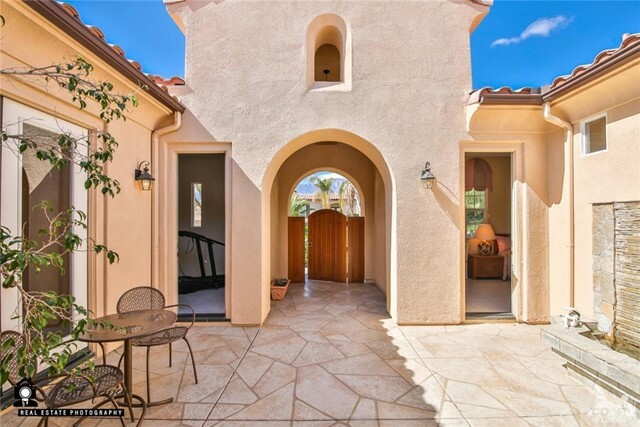 The spectacular rear yard is an entertainers dream with a large pebble-tec pool & spa, covered patio with misters, built-in BBQ, fireplace, mature landscaping & southern mountain views all offering the ultimate desert life.